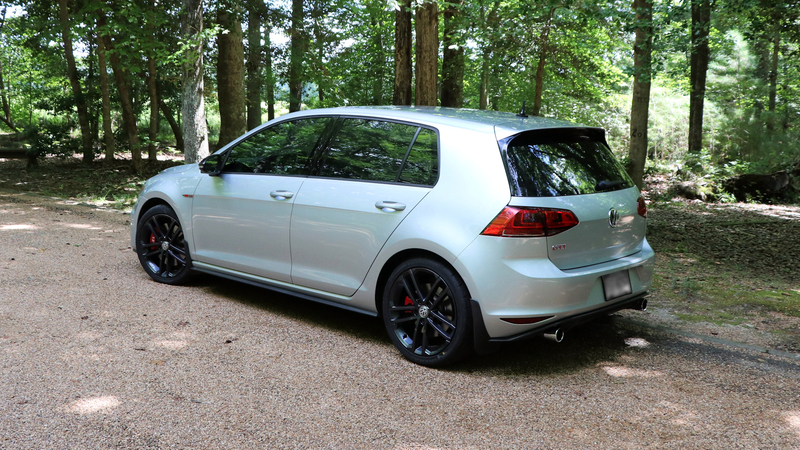 I tinted my glass a few months ago, but I was still intrigued by Volkswagen’s pop-in shades. The shades were recently on sale at Deutsche Auto Parts (DAP), so I made an impulse purchase. 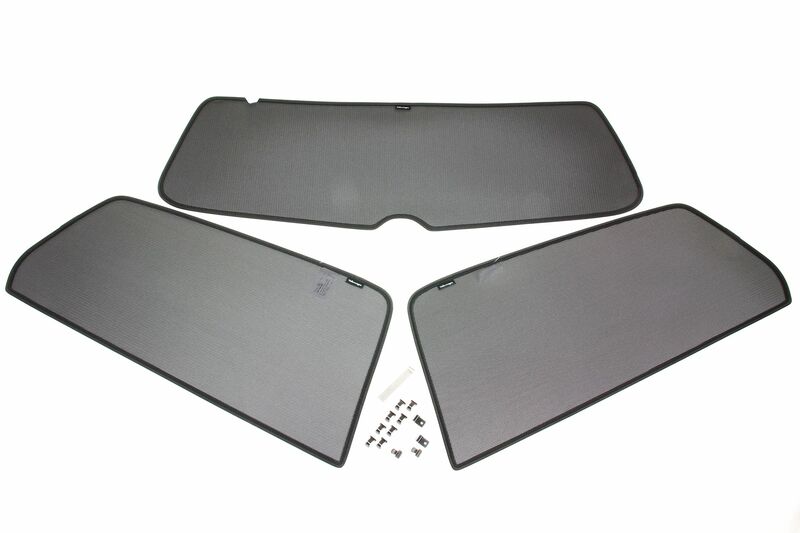 The kit comes with tight-fitting black perforated shades for the rear side windows and hatch glass as well as the retaining clips and a pry tool. The directions are vague, but easy enough to figure out. The fit and finish is excellent. 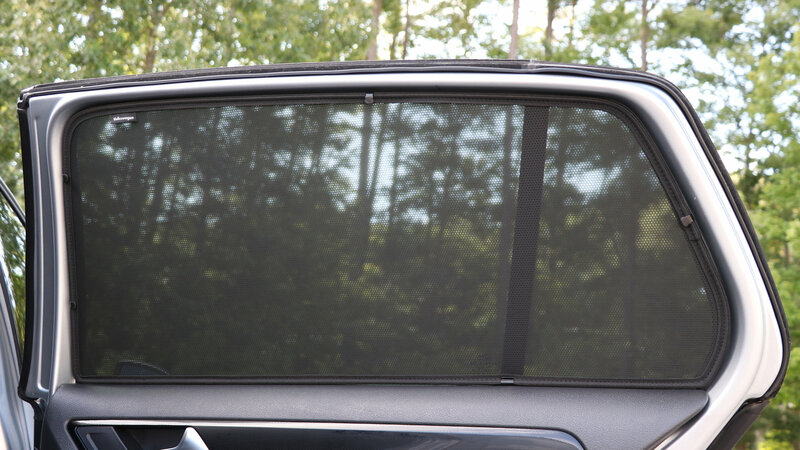 But I can see how having these things installed with tinted glass may get me pulled over someday. 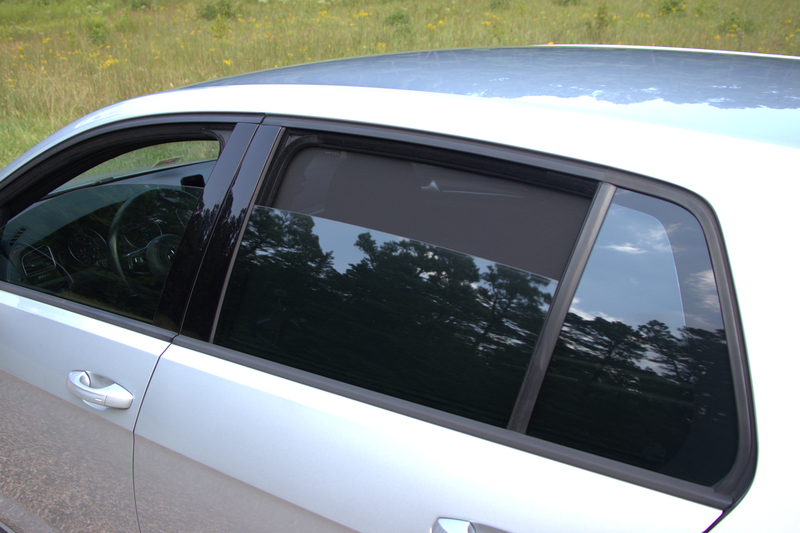 The hatch glass was the most awkward piece since the rear glass is larger than the openings in the trim. As a result, the shade has to be flexed into place. It’s not hard, but it takes a technique to install without getting finger smudges on the glass. The retaining clips must be installed before the shade goes in. These two unique clips are where the included pry tool gets used. It doesn’t take much pressure to pull back the trim a few millimeters to fit these clips into place. After that, clean the glass and install the shade, pulling it tight into the crevices once it’s in. Despite the complexity I’ve detailed here, the kit is still very easy to install, taking me about 15 minutes. 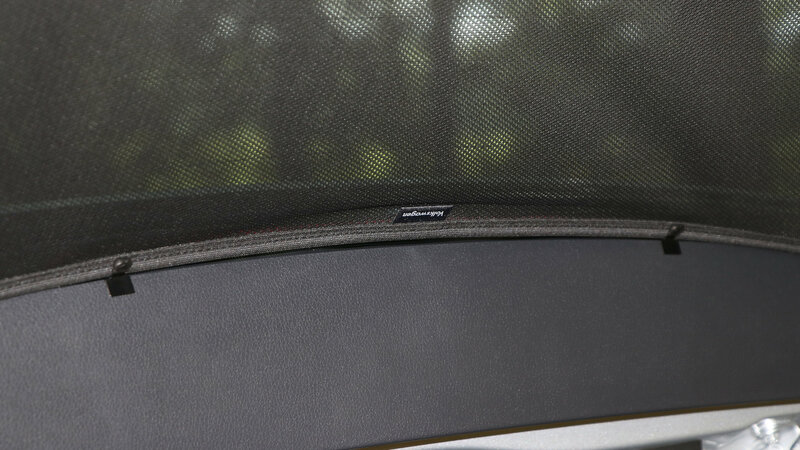 The car can be driven with the shades installed and the windows down. However, they’ll flap a bit with the windows down more than about half way. The shades are ideal for those who like to crack the windows about two inches. And they’re probably good for those with window deflectors since they’re likely to reduce insect entry when the car is parked. That’s speculation, especially since the no-see-ums will still get through, but a casual wasp looking for a home is unlikely to get in. That’s my opinion, anyway. My only complaint is with a minor loss of clarity, especially at night. It’s to be expected, right? It’s not bad, but now it’s more difficult to spot police cars sneaking up behind me. HAHA! Regarding police action, we’ll see how long it takes to attract some attention. I’ve only been pulled over once for tint alone. My car was registered in Texas and was tinted to Texas limits. A Virginia state officer stopped me just for the tint. He let me go with a warning after I pinky-swore to fix the “problem.” If I get hassled for these shades, I think I’ll simply get a warning if I offer to remove them on the spot. Afterwards, I’d save the shades for when I want a little more privacy while parked. They’re GREAT for additional privacy, that is certain! See more photos in the album below. See my related YouTube video here.